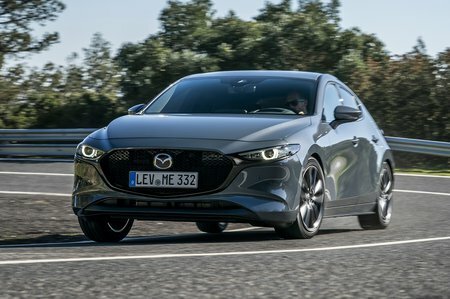 Mazda 3 Boot Space, Size, Seats | What Car? 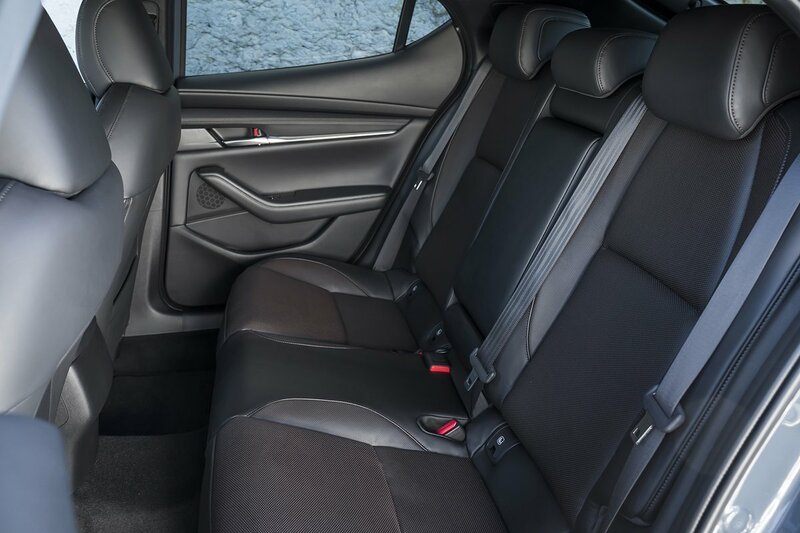 Even tall adults will be spared any space issues in the front of the 3; there's plenty of leg and shoulder room, plus a generous amount of headroom thanks to seats that allow you to sit nice and low. There's a decent assortment of storage areas, too, including bottle holders in both doors, a rubber-coated non-slip area beyond the gear lever and a reasonably deep glovebox that has enough room for the owner's manual and a small drinks bottle. The deeper bin beneath the armrest is very accommodating, but shrinks markedly with the wireless phone charging pad that’s fitted to higher trims. The 3's rear accommodation has its strong and weak points. There's a decent amount of leg and knee room and the interior is wide enough for three adults to sit beside each other without feeling too much of a squeeze, but they may feel a little claustrophobic; the tiny rear side windows create the impression of being trapped inside a pillar box. Perhaps a bigger issue is rear head room that’s compromised by the 3’s distinctive roofline. Children will be fine, but adults approaching 6ft tall will find their hair touching the ceiling. The rear seat is split 60/40 and folds to sit relatively flat with the boot floor, making it easy to slide longer loads in. However, the need to open the rear doors to access the lowering release handles is a bit of an oversight; levers mounted inside the boot would be more convenient. It's also a pity that there's no option to add adjustable lumbar support to the front passenger seat. The 3's boot is slightly smaller than a VW Golf's, at 358 litres with the rear seats in place, but there’s still more than enough space for a large weekly shop. You shouldn't have too much trouble squeezing in a set of golf clubs or the chassis and seat of a buggy, either. 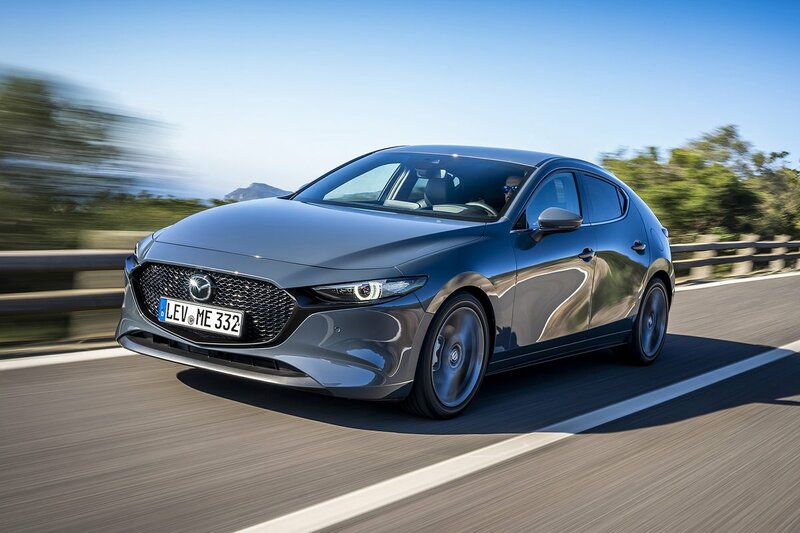 The load bay is reasonably square, although the rear wheel arches do intrude at the side and Mazda doesn't supply any baggage hooks to keep your shopping from rolling around. There's quite a high lip to lift loads over, too, which might prove a hindrance when handling heavy items.